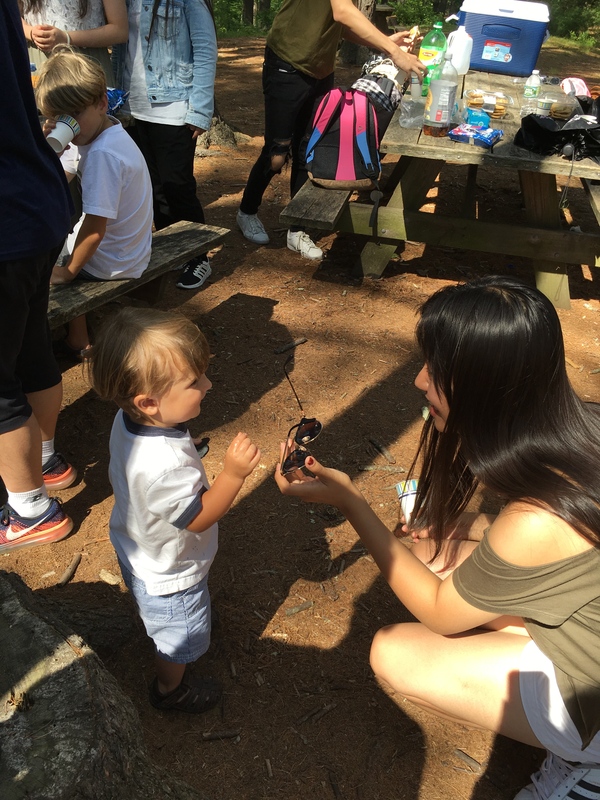 This blog entry was written by Jenny, who is a UCAELI student. 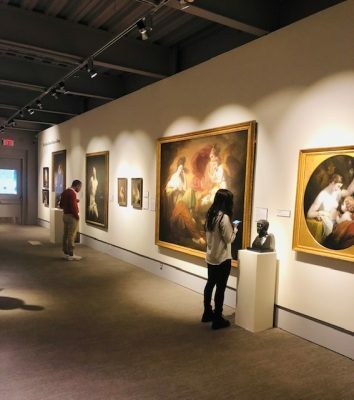 Jenny is taking the UCAELI course, “Explore” and recently visited The University of Connecticut’s Benton Museum. 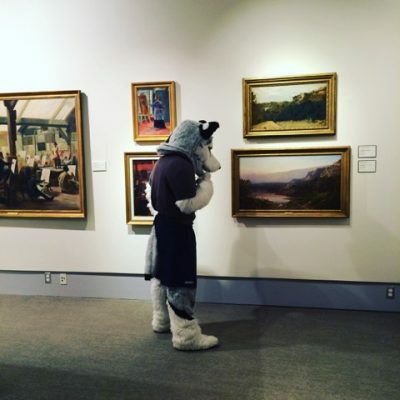 You never know what you might see or who you might see when you visit the Benton. Many thanks to Jenny for sharing her writing with us! We hope you enjoy it. Personally, if you ask me how a painting can be described by a thousand words, I will answer that it should be a scene with which I can resonate in the painting. When I visited the William Benton Museum of Art, there were many different styles and times of paintings. Some of them I could understand the stories behind them and appreciate their form. However, some of them I really could have not any reaction or interpretation. For example, close to the entrance of the museum, there was a painting made up of a lot of lines. I only felt it is very beautiful, but I could not understand what is the writer trying to tell me. In all the paintings, for me, one of the most impressive pictures was the Bye Beach drawn by Martin Johnson Heade. When I was looking at the painting, it put me under a kind of stress because of deep color. The sea water is dark and some small boats were floating on the surface. The cloud is depressive with deep bronze and red light come out. I had the same experience on the sea. That situation describes the weather before the rainstorm. The black cloud emitted the sunset. It was grandiose and spectacular scenery. Then I read some background about this picture. I could feel more about what Martin wanted to show. As we know, a rainstorm always means troubles are coming in many kinds of literature and works, also in many cultures. For example, in Chinese culture, many poets used storm in their poems to show some bad events or heavy emotion. In here, it maybe has the same idea to show how horrible the Civil War was. Therefore, I think a painting which can be perceived by thousands of words can spread the author’s feeling. People can understand it because it can connect people’s lives. The students at UCAELI have been hard at work so far this semester. As we approach midterms we wanted to share with you some examples of the work our students have been doing so far. Below are samples of work from our class Learning with Podcasts. We hope you enjoy! Halloween as we know it today has a very long history that began about 2,000 years ago with the Celts who live in the area that is now Ireland, the UK and northern France celebrated New Year’s on November 1st through a festival called Samhain. The festival happened at the end of summer and the beginning of the harvest. At this time of the year, the weather became cold and dark. Many people became very sick and did not survive the winter. The Celts believed that on the night before the New Year, October 31st the line between the worlds of the living and the dead were blurred because ghosts returned to earth on the night of October 31st. The Celts believed that when ghosts came back to earth, it made it easier for Celtic priests or Druids to predict the future. These fortunes were very important to the people who did not know if they were going to survive the winter. In celebration, the priests would build large sacred bonfires and make sacrifices to the gods. During the celebration, the Celts wore costumes made of animal skins and tried to tell each other’s fortunes. When the Roman Empire conquered a lot of the Celtic territory, Roman and Celtic festivals were combined. The Romans traditionally celebrated the passing of the dead with the holiday Feralia and they also honored the goddess of fruit and trees, celebrating the harvest. About 500 years later, the Catholic Church named November 1st All Saint’s Day. This is a day to honor all Christian martyrs and saints. People would dress up in costumes to celebrate the event. Eventually Christianity spread to where the Celts were living and the celebration became combined with their New Year celebrations. 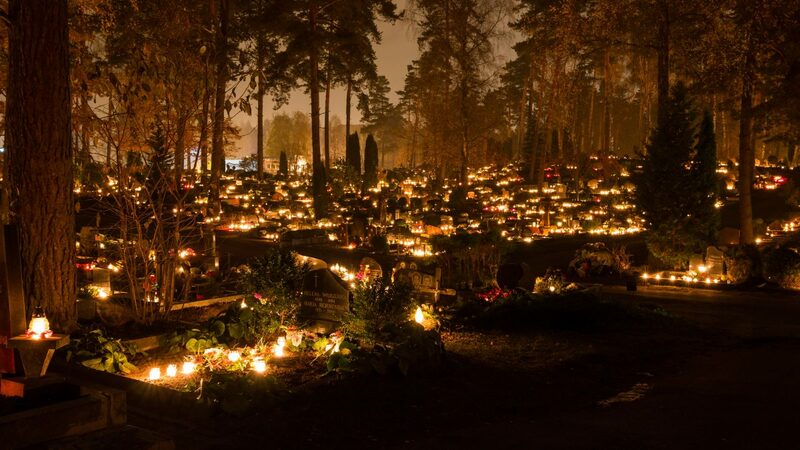 All Saints day was also called All-Hallows and the night before it the same night as the Celts’ big celebration of Samhain, was called All-Hallows Eve, which eventually became Halloween. During the medieval period, children and poor people would go door to door asking for donations or food in exchange for prayers. When people first arrived in the United States they did not celebrate Halloween. As people from different parts of Europe began living with Native Americans, many fall harvest celebrations happened. 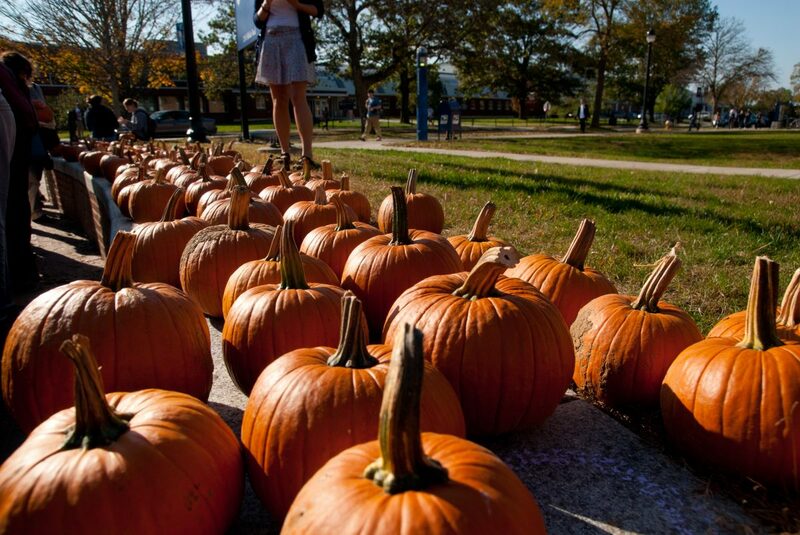 When new Irish immigrants came to America after the Irish Potato Famine, they brought many of the Halloween traditions including pumpkin carving. 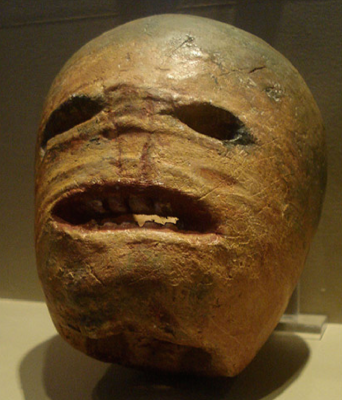 Originally turnips were used instead of pumpkins. They were carved as a way to scare off evil spirits. Eventually in America, all of the traditions were combined into Halloween. This also included people going door to door asking for money. After time, young people would go door-to-door looking for treats and playing pranks, which created the phrase “trick or treat”. Passing out candy or treats became a way to encourage people to not play tricks. By the 1970s candy became the popular item to hand out instead of baked goods, toys, and coins because it was easy and pre-packaged. Over the last 100 years Halloween has been less about religion and more about having fun! 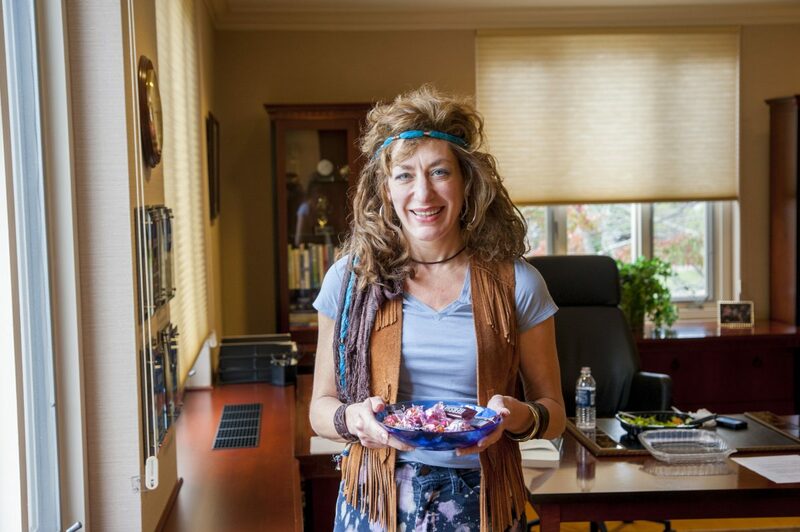 We still keep many traditions to scare evil spirits like carving pumpkins and dressing up. 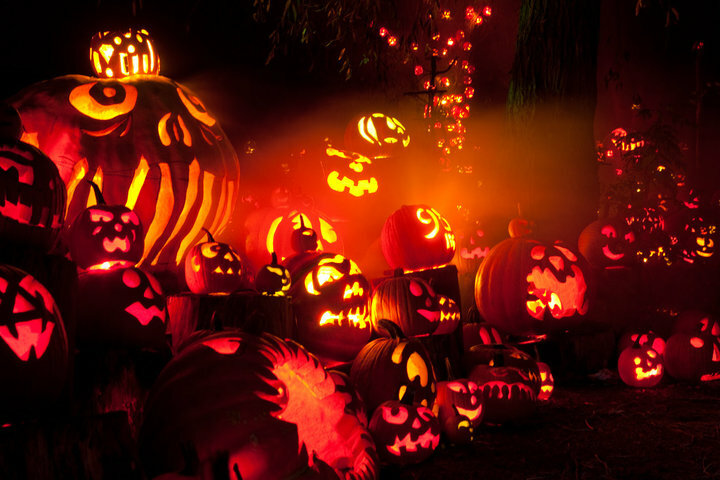 Did you know that Halloween is the 2nd most expensive holiday in the United States, right behind Christmas? People will spend about $7 billion dollars on candy, costumes, party supplies, decorations, and more! About 41.1 million children will go trick or treating on Halloween night, that’s a lot of candy! 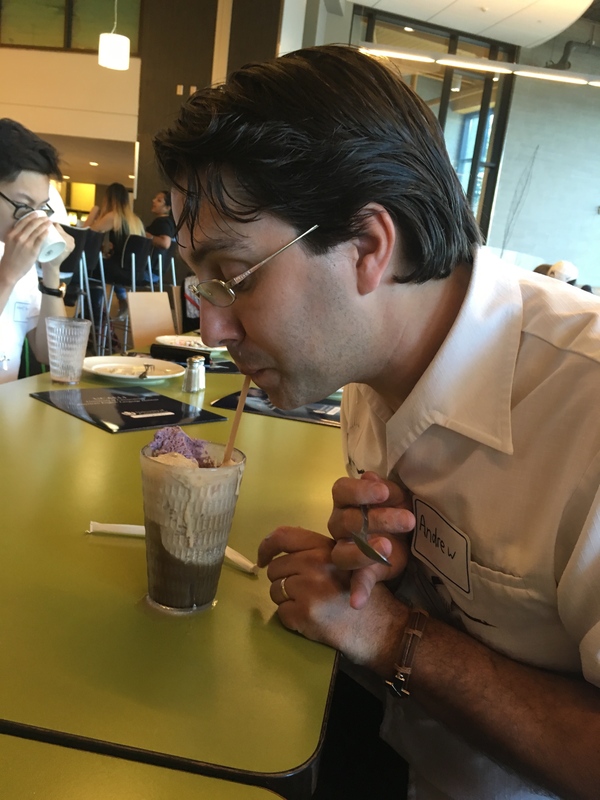 The Fall semester at UCAELI is off to a great start! We have lots of wonderful new students from all around the world joining us this fall as well as some familiar faces returning this session. We started off the session with a few days of orientation where everyone got to know each other and new students got to learn about campus. 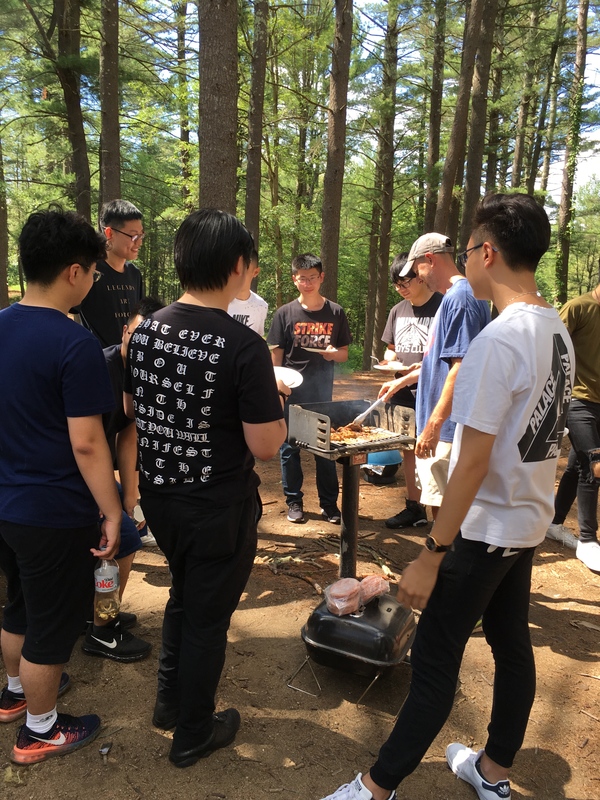 The first few weeks at UConn each semester are full of fun activities. 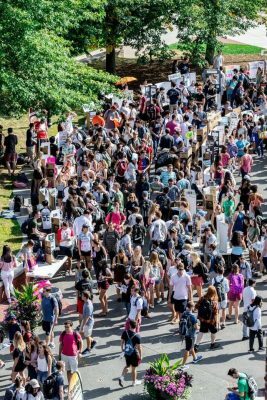 There are fairs and events held outside for new students including a Student Government Block Party, the Involvement Fair, and lots of sporting events! 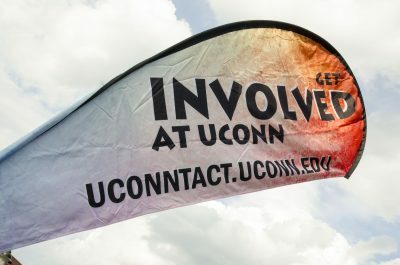 The Involvement fair is a great opportunity for all UCAELI students to see what UConn has to offer. The fair happens once a semester and it is a chance for all student organizations to come together to tell other students what they do. These organizations can be cultural groups, volunteer clubs, cultural centers, sports teams, and more! We like to encourage UCAELI students to join a club or student organization. It’s a great way to meet other students, make friends, and practice your English! The best way to improve your English is to keep practicing and talking to others. 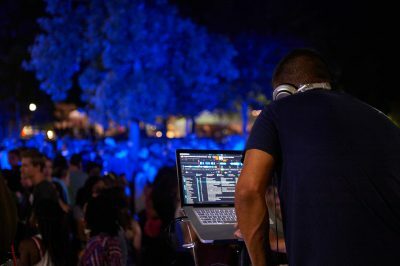 Clubs offer UCAELI students a way to do that in a fun place. We have a lot more fun activities coming up including a trip to the Big E and apple picking! These are really fun fall activities that lots of people in New England like to do when the weather starts to get a little colder. International Student and Scholar Services will also be sponsoring a trip to Newport, RI in October! 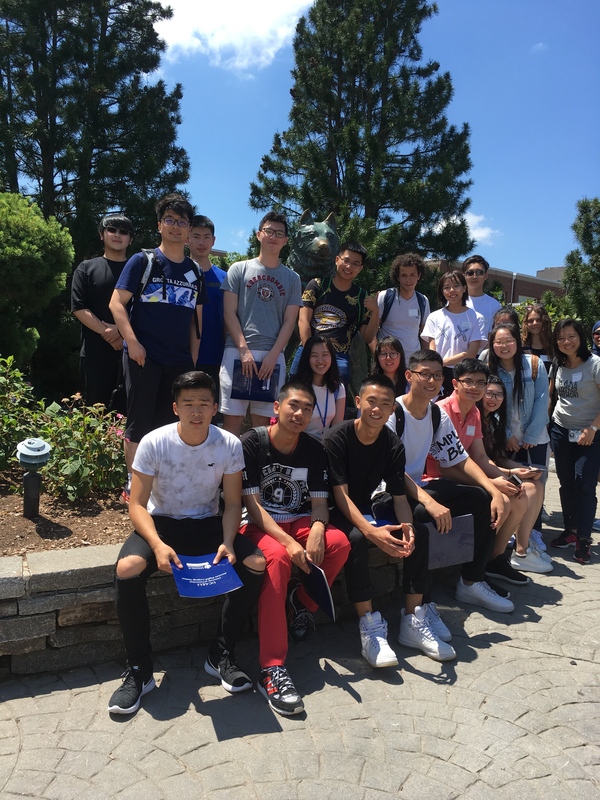 On July 3rd, UCAELI welcomed a new class of students! 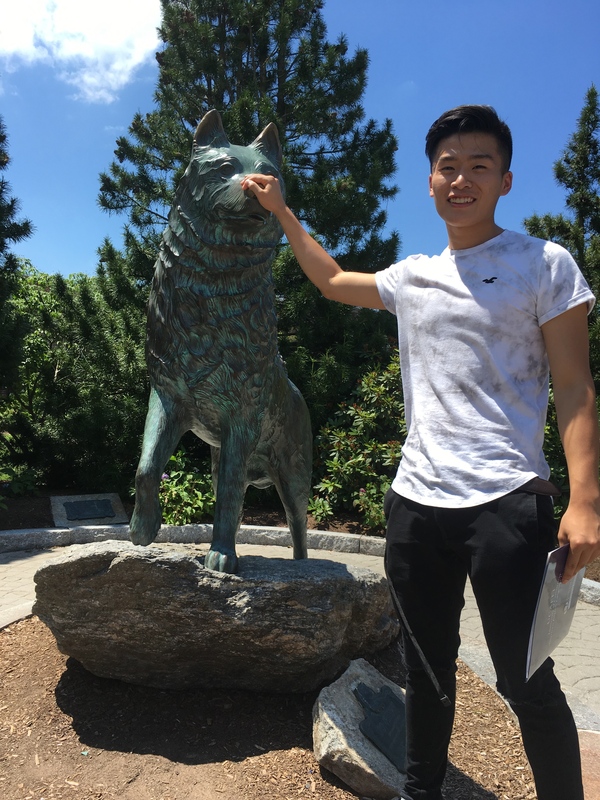 Our newcomers to Storrs quickly found out that there’s plenty to do around here, even in summer. 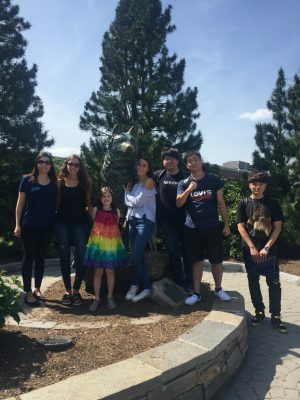 After arriving on campus, the UCAELI students went to visit the statue of our mascot, Jonathan the Husky. Some of them even knew to rub his nose for good luck! 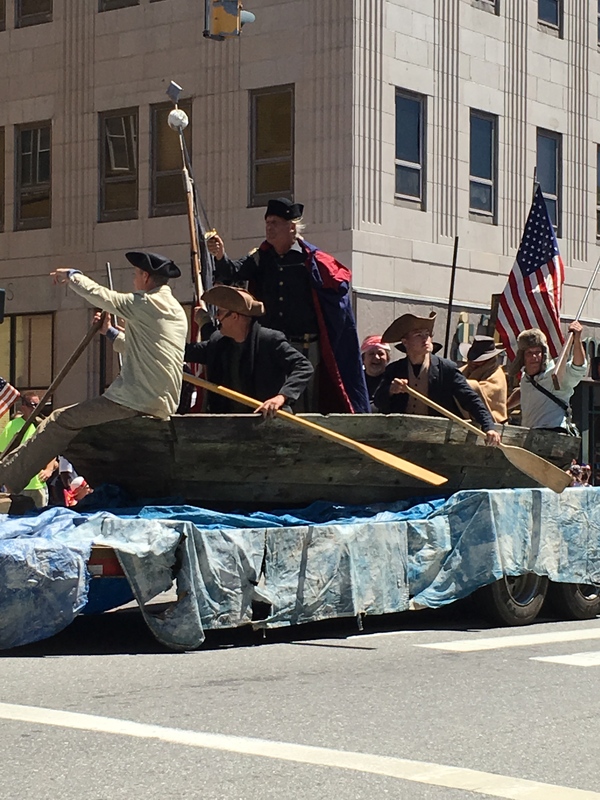 The Fourth of July, or Independence Day, is one of the most important and patriotic holidays in the United States. 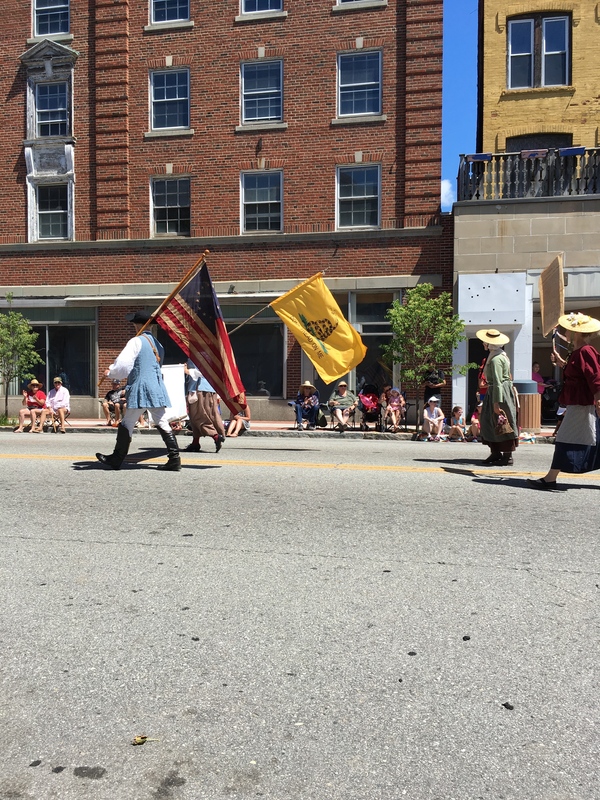 Lots of parades happen all over the country, and Willimantic, the city next to Storrs, is known for having a very unique one. 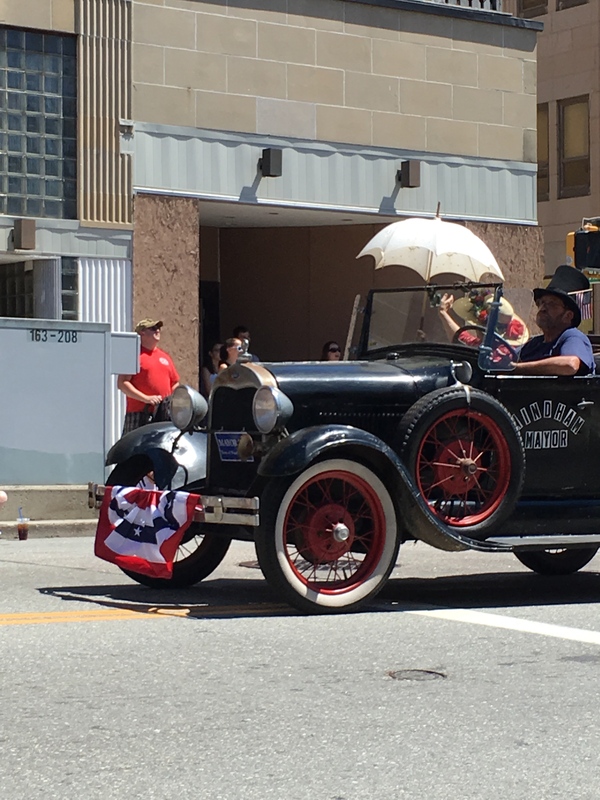 It’s called the Boombox Parade, and as the name implies, people walk the parade route with music playing from boomboxes. It’s an experience that combines traditional, weird, and fun, and UCAELI students always enjoy it. After the parade, we went over to Mansfield Hollow State Park for lunch. 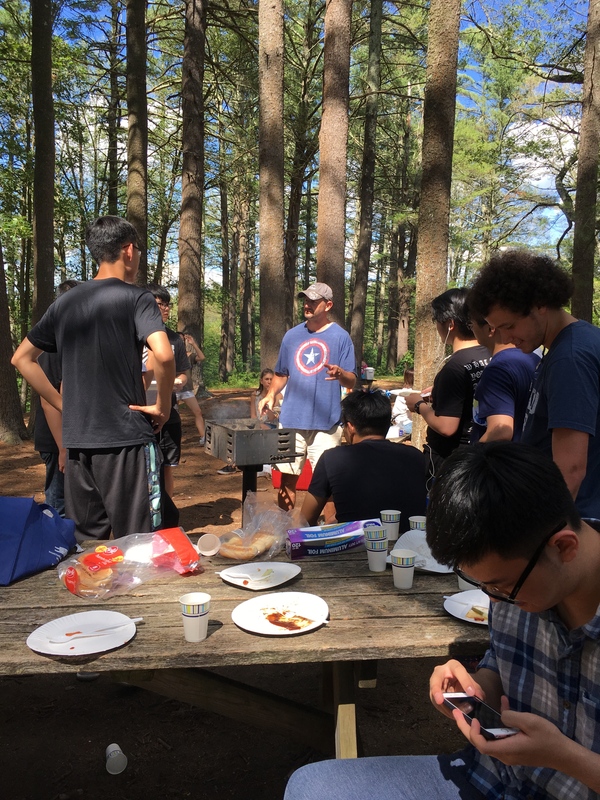 Having a summer barbecue on the Fourth of July is an American custom, and it was great to to do it with the UCAELI students! We love sharing our traditions and interests with our students, and we know we’ll have a great rest of the summer together!